The announcement drew further blowback from Democrats, who said the governor’s decisions were foregone conclusions aimed at furthering the GOP’s political agenda. Justice announced that ex-Speaker Tim Armstead and U.S. Rep. Evan Jenkins are replacing Menis Ketchum and Robin Davis. Justice said he specifically sought out appointees who would run in November for the seats, which are officially nonpartisan. Armstead had previously expressed interest in running for the court and resigned his legislative post Tuesday. Jenkins lost a GOP U.S. Senate primary in May to Attorney General Patrick Morrisey, who now faces Democratic Sen. Joe Manchin. The impeachment probe was sparked by questions involving more than $3 million in renovations to the justices’ offices and expanded to broader accusations of corruption, incompetence, and neglect of duty. Justice said his interim picks had to reflect his values and the values of West Virginians: strength, conservatism, integrity, and honesty. 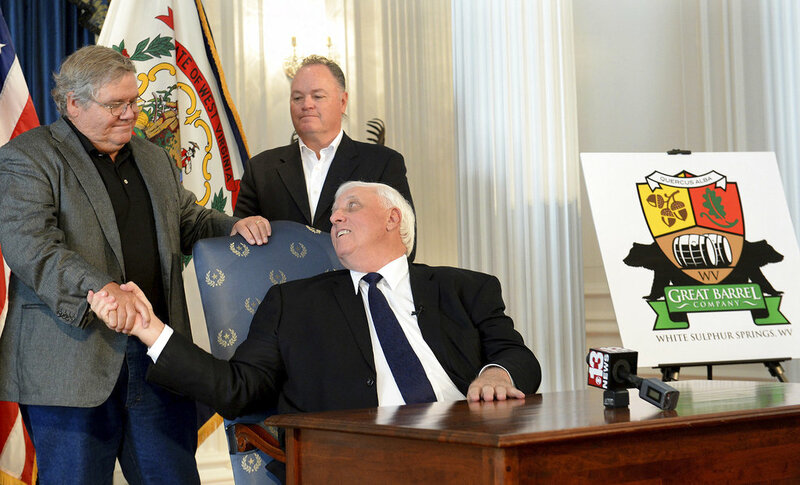 “Talk about having no faith in our justice system or our leadership in West Virginia, this type of political gamesmanship is exactly why these decisions should be left up to the people of West Virginia,” state Democratic Party Chairwoman Belinda Biafore said in a statement Saturday. State Republican Party Chairwoman Melody Potter said the appointments are a first step in restoring faith in the judicial branch. Ketchum resigned before the state House of Delegates impeached the court’s four other justices this month. Ketchum has pleaded guilty to a felony fraud count related to his personal use of a state vehicle and gas fuel card. Armstead had recused himself from the House debate over impeachment because he had previously expressed interest in serving on the court. Davis retired hours after House impeachment. She, Allen Loughry, Margaret Workman, and Beth Walker face a Senate trial. If the three others are convicted, Justice would be able to name their replacements. Loughry was suspended and faces a 25-count federal indictment over allegations in part that he repeatedly lied about using his office for personal gain. Jenkins, former Democratic state Senate President Jeff Kessler, and eight other candidates have filed to run for Davis’ seat. Armstead and nine other candidates have filed to run for the seat Ketchum vacated.